Leaky condo owners wonder: Where's the accountability? 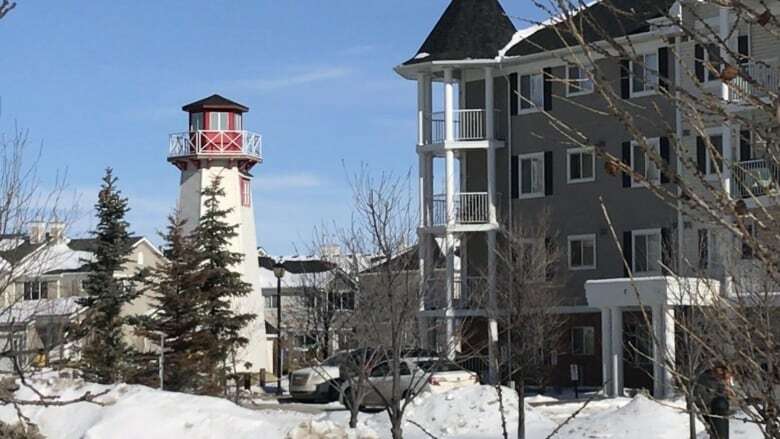 One of Calgary's latest condominium rehab projects is entering its final phase as scaffolding is set to go up outside one of the four-storey buildings at the sprawling Lighthouse Landing development in the northeast. Nearly 230 wood balconies, many of them rotten, had to be rebuilt, while another 76 had to be repaired since remediation work started two years ago. Frustrated owners at the complex contacted CBC News following a similar story about another leaky condo complex, Panorama West. ​At Lighthouse Landing, a notice was taped to the front door of one of the buildings last week warning residents that demolition and inspection work would start the first week of March. Once word gets out that you're dealing with a leaky condo, there are very few owners who want to talk about it. And emotions can run high. A woman who identified herself as a member of the condo board was upset after seeing the CBC taking pictures and video of the building. "If you're not invited by the board, you can get off the property!" she shouted. According to a report that looked into the problems in 2016, the estimated cost of repairs was $3.2 million. The condo board imposed a special assessment, requiring owners to foot the bill. "People were crying when they found out that they had to pay this additional money," said Sharlene Cunningham, one of the original owners at Lighthouse Landing. Cunningham's share of the special assessment came to $6,800. The final payment is due this summer. The condominium corporation filed a civil lawsuit against the builder, Cardel Homes, the architecture and engineering firms and several tradespeople. But according to Cunningham, nothing has been resolved. The law firm representing the condo corporation declined to comment. CBC's leaky condo story earlier this month triggered dozens of responses from condo owners demanding to know why the City of Calgary isn't held accountable for failing to catch these alleged deficiencies and why there isn't more accountability from the projects' engineers and architects. "Yes, inspections are definitely being done by both ourselves and the professional teams," said Randy Reid, the city's chief building inspector. However, the city is responsible only for certain inspections during construction. Those include the building's foundation and framing. Following construction, the city makes several final safety code checks, which include exits and handrails. The professionals on record for any given project are responsible for a number of other architectural, structural, mechanical, electrical and geotechnical inspections, including issues related to damp-proofing and waterproofing. Reid says those types of inspections are beyond the city's mandate. "It's up to the professional to make sure that it is done as such and they are the experts," said Reid. "Their training far exceeds our own. And so you know we don't want to exceed our mandate.... We and the public are all dependent on them doing a good job, and generally they do," he said. 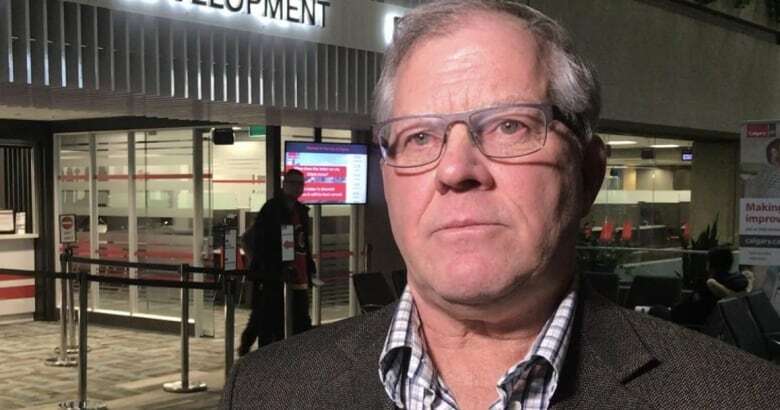 The association that regulates engineers in Alberta says it's "certainly troubling" any time one of its members is accused of professional wrongdoing. 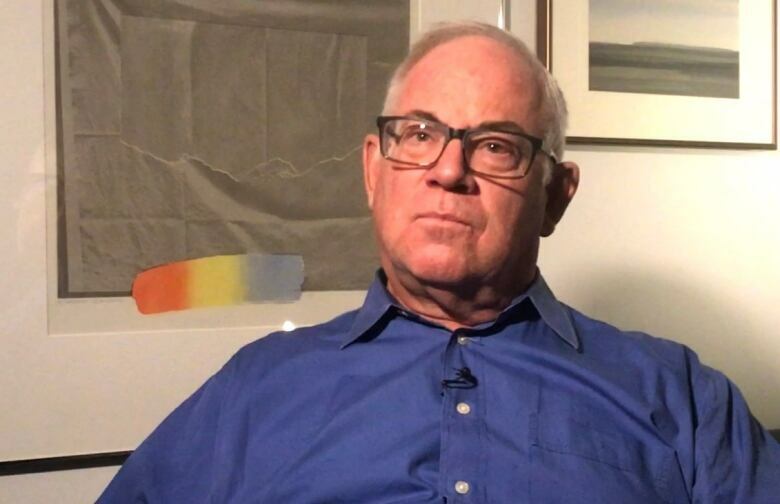 "If we had grounds to believe that an engineer had practised in an unskilled manner or behaved unprofessionally, we have an investigative and discipline mechanism, said Matthew Oliver with the Association of Professional Engineers and Geoscientists of Alberta. Discipline can range from a fine to a permanent licence suspension. Oliver says the association's investigation would first have to determine the contractual role the engineer had with the project. "If the engineer had only been contracted to produce a design and there was somebody else that was ensuring that the design was properly constructed, that would limit our expectation on the engineer to ensure that the design is properly implemented," he said. 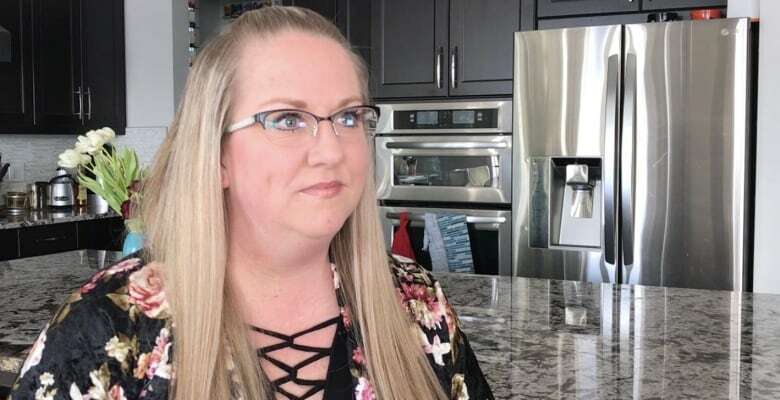 An Alberta-based condominium owners group says the leaky condo situation is not that common, but when special assessments are imposed, it can be a financial hardship for many of the owners. The Condo Owners Forum would like to see more "supervision" when it comes to various inspections that are done during and after construction by professionals and municipalities. It also suggests an independent assessment of the building within one year of residents moving in. "I think the big learning for a lot of us from incidents like these is that very soon after a condominium is created and the first board gets involved, it would probably be prudent to get an independent professional engineering assessment of the building," said Terry Gibson of the Condo Owners Forum. But what does it say when a condo owner is being asked to pay to assess a new building? "It says to me that a consumer has to look out for their own interest," said Gibson. The group also suggests condo boards give owners plenty of notice that a special assessment may have to be imposed and possibly consider spreading out the payments over a longer period of time. Sharlene Cunningham wants her condo board at Lighthouse Landing to use the special reserve fund to fix the complex's rotting balconies, but Gibson says owners should realize the reserve is for other scheduled and expected replacements and repairs. "Every condominium is different depending on the bylaws," Gibson said. "But in general, you don't want to take funds from your existing replacement reserve because that's already allocated to other items." Gibson says "it's a problem" when some disputes between condo boards and builders end up in the courts. "It's a very serious issue and it's difficult to resolve," he said. His group advocates for more negotiation and mediation to resolve these disputes, which could help condo boards — and owners — avoid legal costs. For homes that were issued building permits after February 2014, Alberta's New Home Warranty offers one-year coverage for items including baseboards, flooring and trim. The coverage is two years for heating, electrical and plumbing; five years for issues related to the building envelope (the physical barrier between the exterior and interior), including exterior walls and roofs; and 10 years for structural components including the frame and foundation. A spokesperson for the warranty program says that since it took effect, 20 multi-family "common property" claims have been received. Cunningham is pushing to have condo rules changed so reserve funds can be used to soften the blow from multimillion-dollar assessments. "I really want it to be proactive rather than reactive, where you're just putting people in a really terrible position," she said. She says a handful of people haven't been able to pay the assessment and the board has said it could move to foreclose on those properties. "That's a huge penalty to pay," she said. "Why can't we access that money when it's truly needed, by the people who truly need it," said Cunningham. 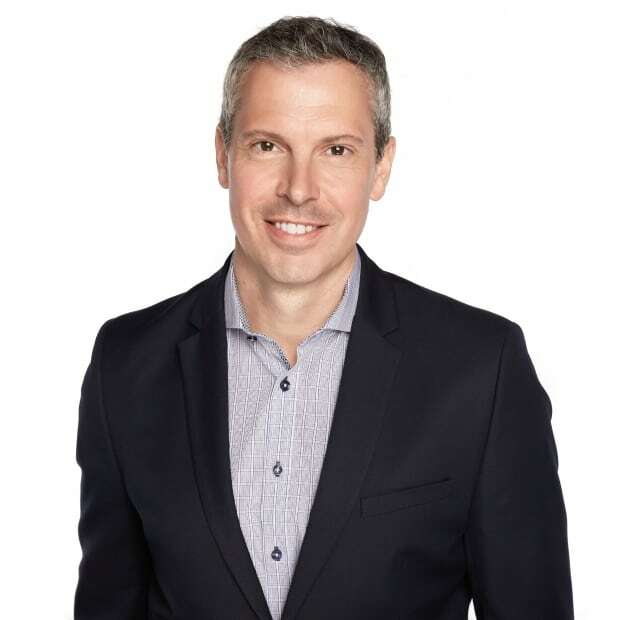 Bryan Labby is an enterprise reporter with CBC Calgary. If you have a good story idea or tip, you can reach him at bryan.labby@cbc.ca or on Twitter at @CBCBryan.